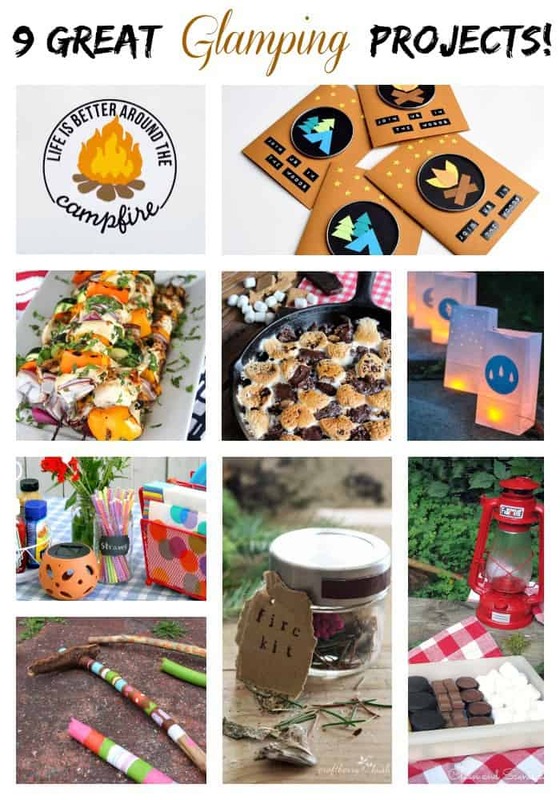 We love camping, so when our group came up with the idea for a Camping themed blog hop I knew I had to plan something super fun- Camping Decals! Our family doesn’t exactly camp in modern style, we started with one of those pop up campers circa 1970, but as our family got a bit bigger (and Mr. Fynes put his foot through the canvas for the 50th time) we upgraded… all the way to 1976. Needless to say we aren’t exactly driving around in the Rolls Royce of campers, but we’re happy anyhow! When camping, we always look for fun bumper stickers to add a little flair to our camper (or cover the newest rust spot) wherever we go, but to be honest there is slim pickin’s. I thought I’d create a few custom camping themed decals, that you can make at home. 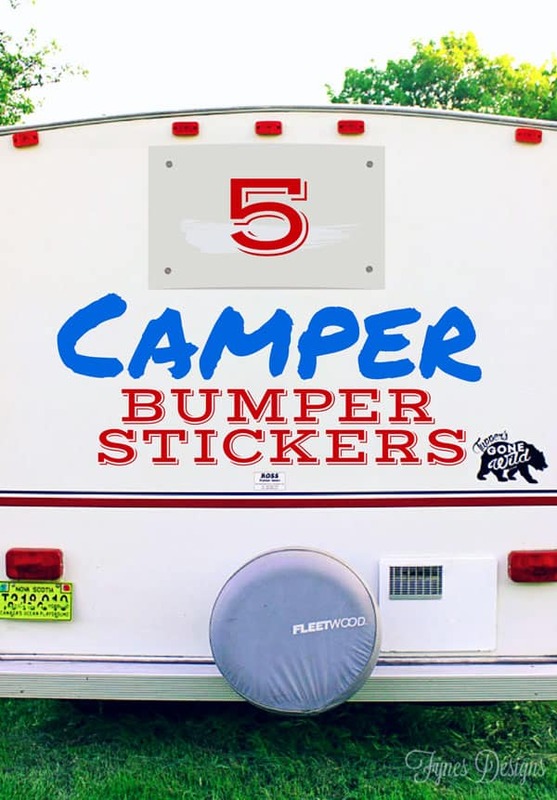 When creating custom decals for a camper or a car it is imperative you use premium outdoor vinyl, otherwise the decal you create won’t holdup against the elements. I got the materials for this project from Expressions Vinyl. They have a large assortment of colors to choose from in outdoor quality adhesive vinyl. I am including the Silhouette Studio cut files at the bottom of the post FREE to you! If you haven’t layered vinyl before you’ll want to watch a few videos on the Expressions Vinyl site how to use transfer tape. Don’t stress though, it is totally easy! 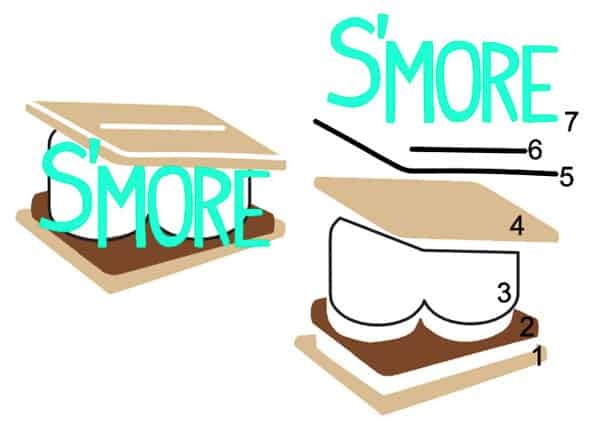 You can see in the diagram above the layers included in the s’more (this is the most complicated of them). The cut files are broken down into layers and color coded so you’ll be able to easily re-create them. *Note: You don’t need to use a fresh piece of transfer tape each time, a piece of transfer tape will last for a few designs. Use a credit card to smooth out the design before and after you transfer. If you need more tips check out how to apply vinyl tutorial on the Silhouette blog. The decals can be used on almost any outdoor surface. 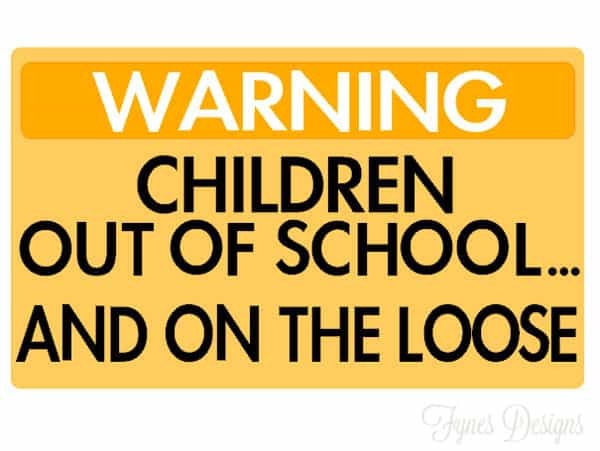 Put them on the bumper, door, windows, over the kids mouth, just about any non porous surface. Isn’t that camper a gem, I know you want to camp with us! 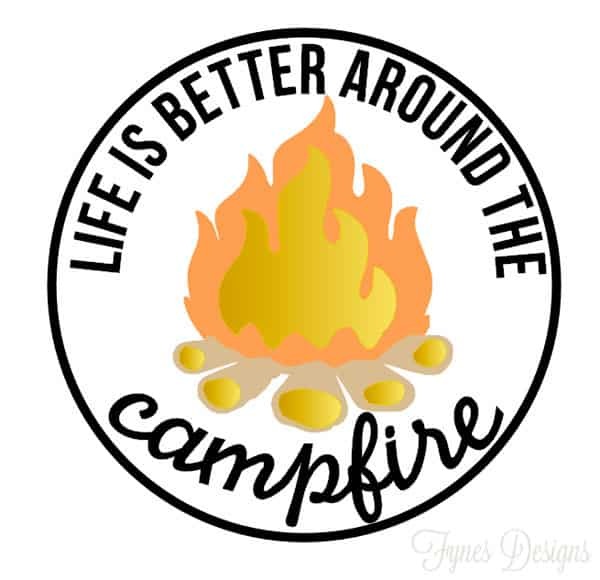 Download the Campfire Decal here. Download the S’more Fun Decal here. This Bear decal is my favorite! Add a name to his rump for a personalized sticker. 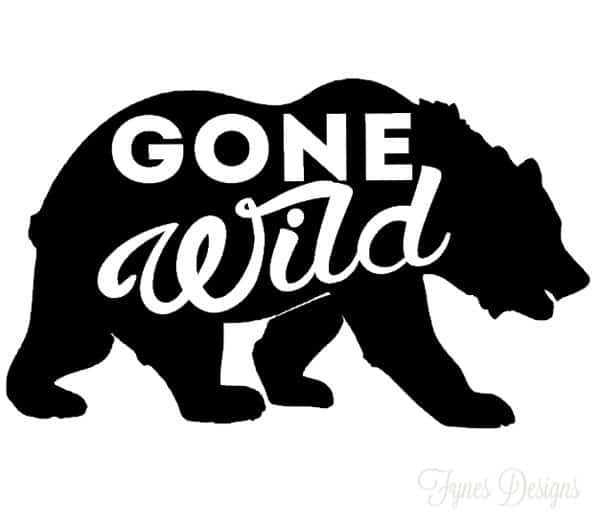 Download the Gone Wild decal here. Maybe this one is my fav, I can’t decide! 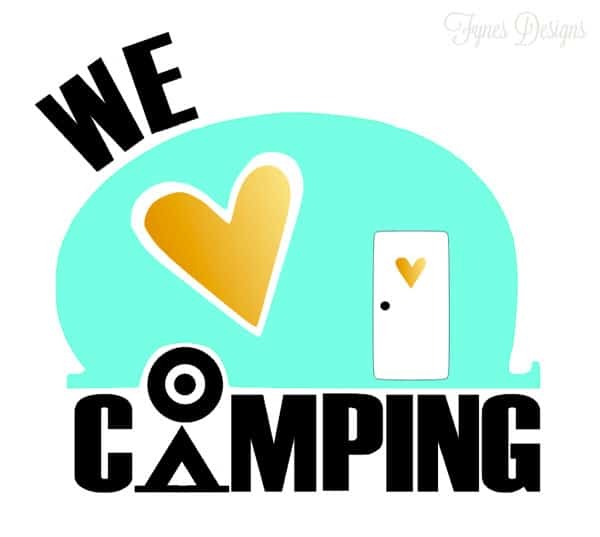 Download the We Heart Camping decal here. I can’t really decide which is my favourite, which do you like best? Every camper in my family is sporting their own custom sticker now! 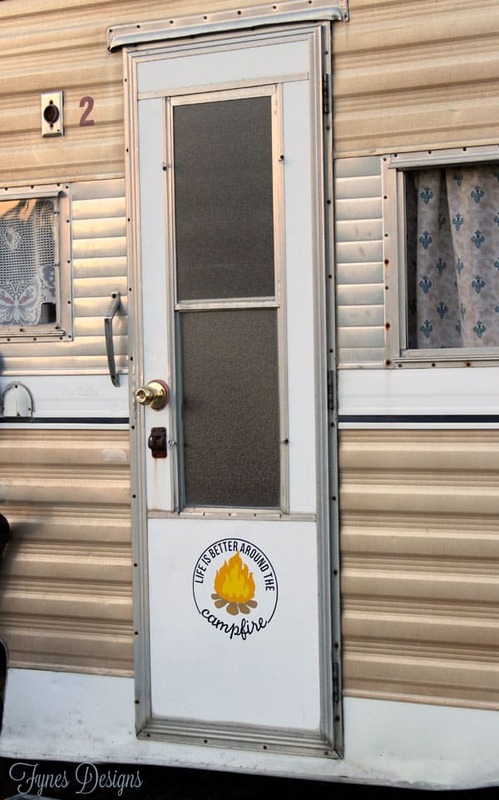 Please check out the wide variety of materials on the Expressions Vinyl website to make your own camper decals. That would be a perfect one! I was a brownie too, loved it! My word V, these are the BEST! I absolutely love the campfire one!! Virginia – these are AMAZING! I can’t believe you designed those yourself! Wow! Oh my gosh Virginia!!! 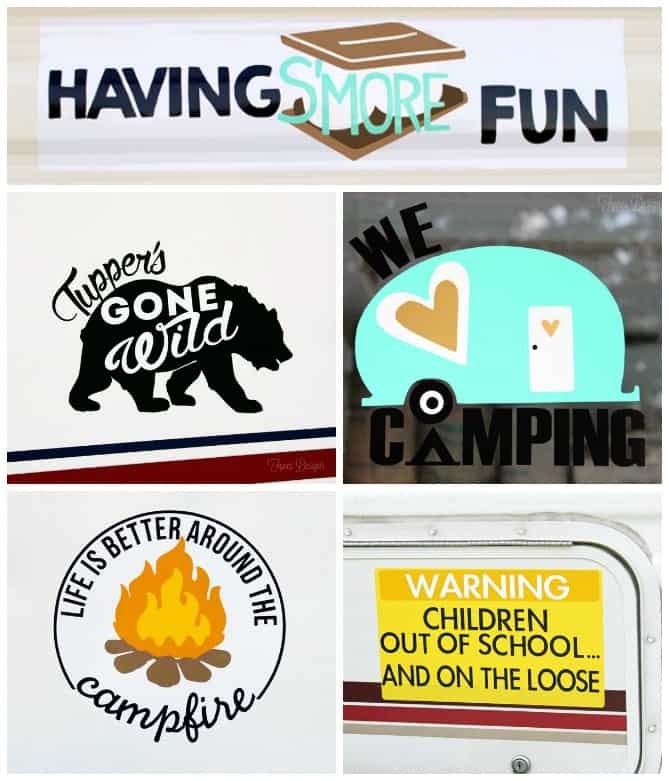 I want to get myself a camper just to be able to stick these decals all over it! LOVE!! Love the gone wild! It would be cute on a teeshirt. My hubby won’t let me decal our camper. Maybe one day. Oh, that would be great on a T-shirt! Thanks for the idea, I gotta do that! Ha Ha! I laugh at how you started out camping. We did it that way too! We still have a 60’s Shasta 12′ that I now use for extra storage but when we used it in Florida, it always was cool inside and seemed so roomy even though it was so small. Now we have a late 70’s motor home we bought at auction with intentions of turning it into a food wagon. It runs great and drives really nice. It just needs remodeled. On the bucket list. I love your decals. You could even put them on cling film so they would be removable and repositionable but stay intact. Thanks for sharing your hard work. cling film, great idea! We loved that old camper, I was certainly a conversation piece, we only paid $400 for it, and sold it $450! It was so carefree! Oh my goodness Virgina!! How cute are those??? I love them all especially the Life is Better around the Campfire and your awesome camper one! Which one should I pick? So happy to hear you used it, I love that bear! LOVE it, So glad you’re playing, I still haven’t cut into the big piece, eeep! I tried downloading these but, my computer didn’t recognize the file type. What program do you need to have to open them? Hi Linda, have you upgraded to V3? Hi. I make framed art for local stores and would love to put these on my artwork with our state for tourists. I that something you would be ok with? Wonderful work! Thank you! These are super cute!! any chance you have them in svg file form?! no, I’m sorry they are only for Silhouette. These are awesome!! My son is in cubscouts so we do a lot of camping although ours is all tent camping. Thanks for sharing at #HomeMattersParty I hope you will join us again this week!! Super cute! Wish I had a silhouette!